Autumn is an important season in the year for your lawn. Autumn in the UK usually means cooler temperatures and rain. The lawn can look a bit sad and neglected as we retreat indoors. 1. Raise your mower blades. As the light levels and daylight length in the autumn start to reduce, raise the height of your cut. A longer leaf on your grass will help it to use the fading light. This will help keep your lawn green during the winter. I recommend cutting your grass at the highest setting on your mower. 2. Put down an autumn lawn feed. Experts say that the autumn feed is one of the most important times to feed your lawn. 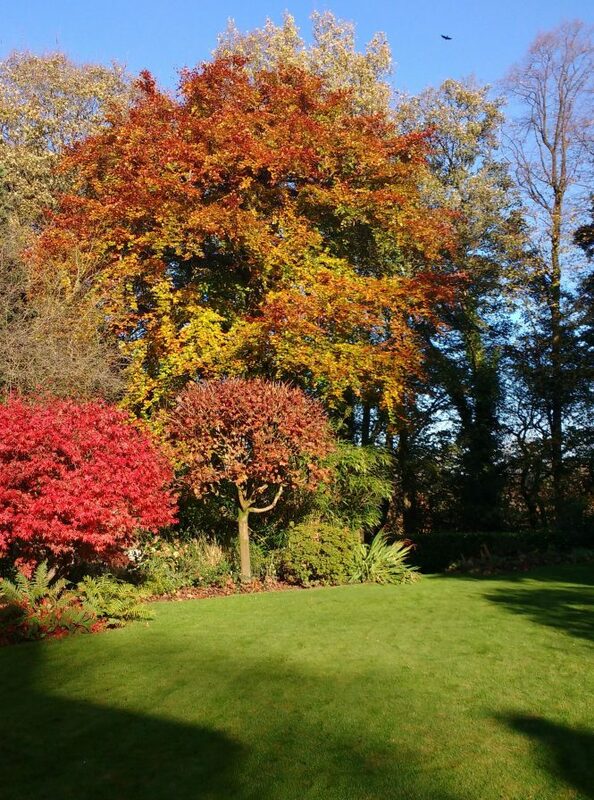 An autumn lawn fertiliser consists of a small amount of Nitrogen (N) and a large amount of Potassium (K). It will also contain other trace elements such as Manganese and Iron. Potassium is an essential element for grass plants in the autumn. Rains during the winter can often wash potassium through the soil. The lawn won’t struggle to find these essential elements when times are hard if fed before winter. This will give you much stronger grass plants in the following spring. A covering of leaves covering grass. 3. Keep leaves off your lawn. If you have any deciduous trees near your garden it is likely that you will have leaves fall on your lawn. It is important for your grass that these leaves are not allowed to stay covering the grass for too long. 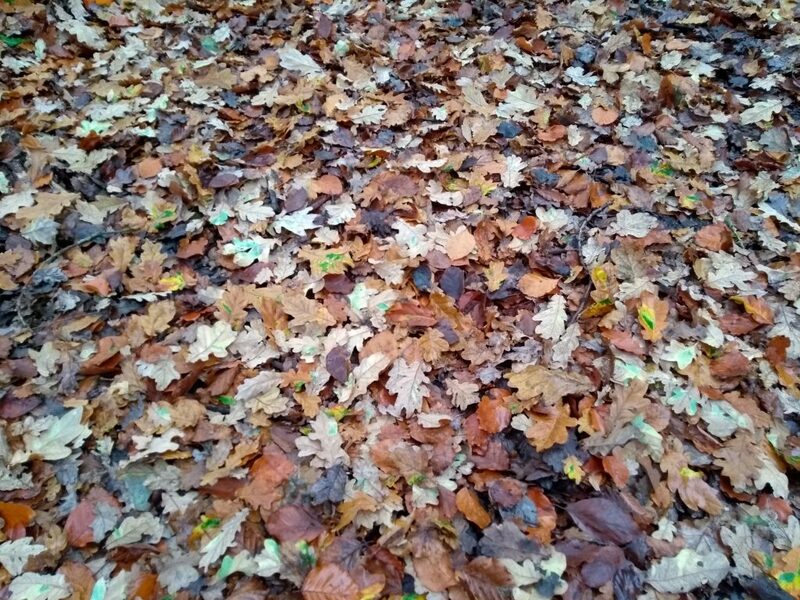 Once a week, either blow the leaves into the borders or rake them up. This is especially important if you have any new grass seed germinating. Leaf coverage will kill new grass. 4. Clear away furniture and toys. As the warm days and long summer evenings fade away it is important to remove any items shading out the grass. This may include garden furniture, tools or toys. If left, these will cause dead patches and yellowing of the grass. This may need repairing in the spring. Clear your lawn before winter and the grass will come through without damage. Aerating a lawn is a great treatment to apply to your lawn in the Autumn. The autumn is a perfect season to aerate your lawn. Lawns become compacted over time. Compaction means the soil compresses together preventing water from reaching the roots. 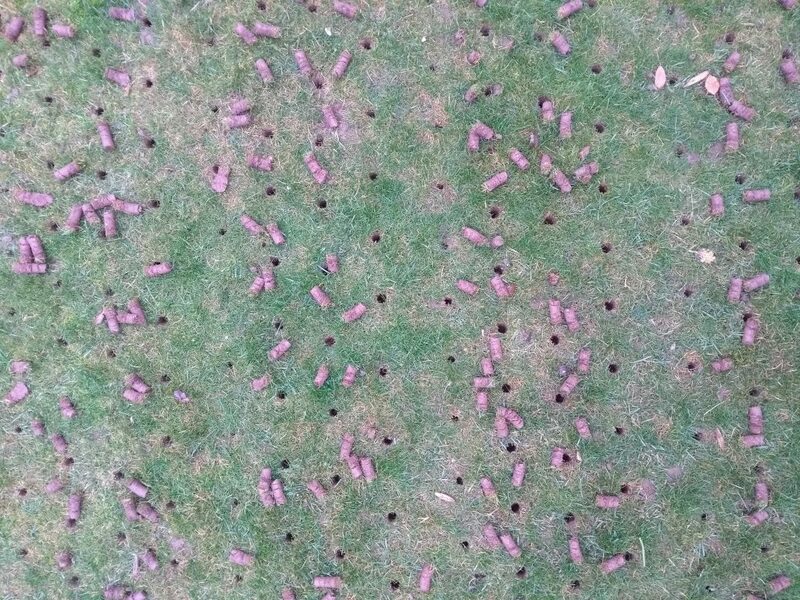 Regular aerating is very important and will prevent many problems in future years. Aerate your lawn and the grass will develop strong roots. Your reward will be a great lawn the following year. 6. Repair damaged areas and fix levels. Lawns can become damaged. Pets might dig holes, plants might shade out grass or you may spill things on the grass. Autumn is the best time of year to repair this damage. To fix, prepare the area, clearing out any debris and getting back to soil. Sow a suitable grass seed. Then level out with some good quality topsoil. Keep it watered and come next spring you won’t even know it was there. 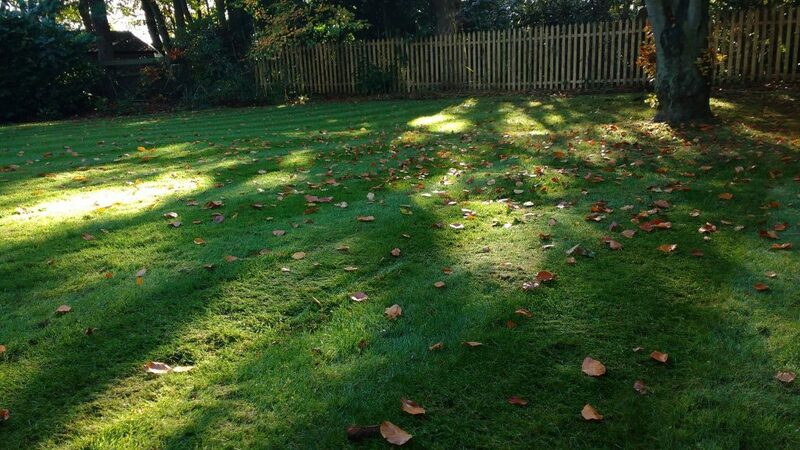 Autumn is the perfect time of year to carry out a lawn regeneration. If your lawn is becoming thick with moss or thatch follow my instructions on how to scarify. You will have a fabulous looking lawn for next year. If you live in the Exeter area and would like advice on your winter lawn care regime, please get in touch. A lawn can look beautiful in the autumn.